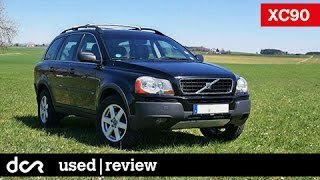 The Volvo XC90 has been around since 2003 and despite the fact that very few aesthetic changes have been brought to it during these past years, this aging SUV still has its appeal and manages not to look outdated. 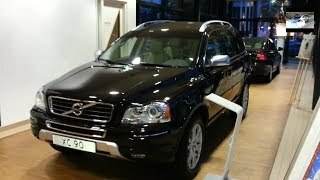 The 2013 Volvo XC90 received a mild facelift, but again, there's nothing too extreme. Under its hood the XC90 comes with the same 3.2 liter straight-six engine able to develop 240 horsepower and 236 lb-ft of torque. The 3.2 liter power plant is mated with a 6-speed automatic transmission which sends the engine's power to the front wheels, however all wheel drive is available as an option. In terms of exterior design the 2013 model suffered little changes but the manufacturer claims that a total of 322 changes were made. The most notable ones are the slightly redesigned bumpers, LED running lights and a new set of tail lamps. A couple of new colors have also been added, Flamenco Red Metallic and Twilight Bronze Metallic. Last but not least, a new set of 18-inch wheels have been made available as well as a new set of silver roof rails. On the inside the 2013 model also undergone a few changes and is now offering a new three-spoke steering wheel, instruments with white backlight and aluminum trim. Android and iPhone connectivity and apps have also been added, a feature which in our day and age becomes more and more of a necessity. 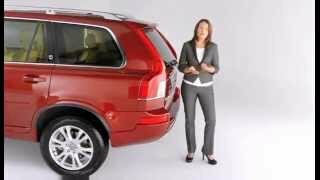 Volvo's SUV -and Volvo's in general for that matter - are famous for their level of safety and the XC90 is no exception to that rule. It's undeniably one of the safest SUVs money can buy at this date. Not only does it delivers an outstanding rollover safety if it comes to that, but the XC90 comes packed with other safety features such as Roll Stability Control, Whiplash Protection System, Inflatable Curtain airbag and Side Impact Protection System. Speaking of airbags, the SUV comes with dual front and side impact airbags, and an extended Inflatable Curtain that will also protect the passengers sitting in the third row of seats. 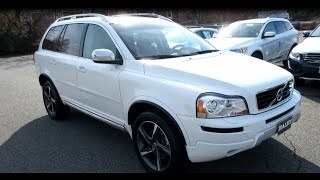 In case you're looking for a safe 7-seat SUV the Volvo XC90 is probably your best choice, and price-wise the base model will set you back $32,950 MSRP. If however you feel that the XC90 feels and looks outdated, or you simply don't find it appealing for whatever reasons, then you can always turn your attention towards the Audi Q7, the BMW X5, or the Land Rover LR4.